It’s a beautiful, sunny day here in South Florida, warm with a nice breeze. Kids are riding their new motorized scooters and playing with remote control cars and helicopters in the street. Down at the Beach, thousands of locals and travelers are enjoying the 80° day! It’s Christmas in the sub tropics, where we decorate palm trees and have BBQs, Picnics and beach parties to celebrate the day! Here you know your Christmas will be green and bright, just like Hawaii. Your Tiki Lounge hosts, Tiki Chris & Wahini Colleen wish you and yours the Merriest of Merriest & the Happiest of Happiest! Have yourself a merry Tiki Christmas! Mele Kalikimaka! 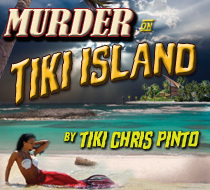 -Tiki Chris reporting from Pirates’ Cove Tiki Bar, next to the pool at Tiki Island Resort, that magical little Tiki oasis we like to call home. 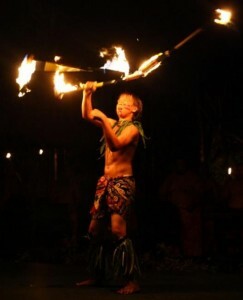 Preston Weber performing his FireKnife routine. If you’re in the Fort Lauderdale area on Sunday, April 28, swing by the 5-Points Lounge for a very special Tiki fundraiser. Dubbed the “Sunday Aloha Fun-Raiser”, proceeds from this show put on by Polynesian Proud Productions will benefit Preston Weber, 14 year-old Jr. World FireKnife Champion and Fort Lauderdale local. Preston will be flying out to Hawaii in May to defend his title, and this fundraiser is to help him get there. The event will feature Polynesian music, live Tahitian drumming of Uhi Api, PolyProud performance, beautiful Hula, RONIN TAIKO (Featuring Marina The Fire Eating Mermaid drumming), special guest performers, $5 Hawaiian Plate Lunch sponsored by the NEW Florida Hawaiian Civic Association, island treats by way of Kauai, from DelaCruz Delights and Onolicious Cakes by Kathleen. This event is open to the public, and any donations at the door are greatly appreciated. 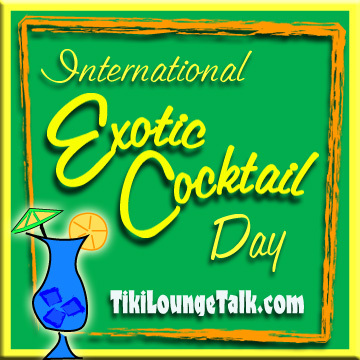 There will also be raffles and prizes, so throw on your best Aloha shirt and swing down to the 5-Points Lounge, 2608 South Federal Hwy, Fort Lauderdale, Fl. There is Free parking in back of building. 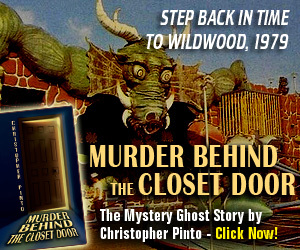 5-Points is located at the KREEPY TIKI PLAZA, “Home of South Florida’s only 20ft. Hula Girl landmark”. Kreepy Tiki Tattoo is a very kool place for vintage & Tiki lovers. They are not only kool kats and kittens who ink some very impressive tattoos, they also carry some vintage clothing and goodies, and have Tiki-esque art by local artists including one of my favorites, De Tiki. PRESTON WEBER has been performing since he was 10 years old at the Mai-Kai in Fort Lauderdale. He won his first Jr. World FireKnife Championship at 11 (2010), then skipped a year to audition for America’s Got Talent where he placed 49th out of 100,000 auditioned acts. Preston won his 2nd Jr World Championship title at 13 (2012). He is now 14 and looking for his third win! Congratulations and best of luck to Preston…break a leg! Voodoo Cooler – Your Weekend Tiki Bar Cocktail Recipe! As most of you mix-o-matic kats and shaker shakin’ kittens know, there’s a biz-zillion ways to combo rums, fruit juices and ice to make a groovy Tropical Cocktail. Some take time, skill and a bankroll to create, some are easy and cheap, and if done right, all are really good. is a drink that you can probably whip together with stuff you usually have laying around the bar, so you can have a tropical cocktail without taking a trip to the liquor store. Shake everything up in a shaker with ice, and pour into the coolest looking Tiki mug you can find. Garnish with fresh orange and pineapple, a cherry, and an umbrella. This drink is a little sweeter than most, but it’s refreshing and has a real “islandy” taste. Put this all in a blender with ice and do a frozen job, then top with a jigger of 151. Woo hoo! Key West style, baby! It’s National Margarita Day! So, here are some Tiki-Rita Recipes for your party. I just found out this morning that today is National Margarita Day. Not sure who put this day on Ash Wednesday, the day after Fat Tuesday, which created all kinds of problems for some people (from religious to hangovers), but it is what it is, so here are some cool Margarita drink recipes taken from “100 Margaritas” by Johnny Tiki with John Taddeo, available as a free PDF download from Voodoo Tiki Tequila. 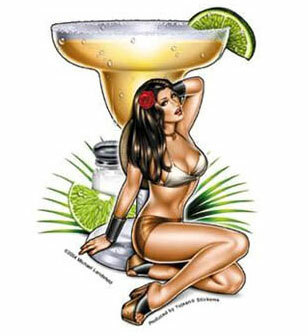 By the way…Voodoo Tiki Tequila is some great stuff, and is perfect for your Tiki bar. The bottles feature a hand-blown glass Tiki inside, and look great on your top shelf. They have a variety of styles, with the REPOSADO being my favorite. Check em out: VoodooTiki.com. – combine all ingredients in a blender with ice and blend smooth. back of a bar spoon over your glass. Careful! Unless your into outdoor living, wipe up any spills before igniting. On the rocks, combine all ingredients and shake well. If serving up, shake well, then allow a few seconds to rest before pouring. Combine all ingredients in a mixing glass and shake. Strain into martini glass or over fresh ice. NOTE! My old buddy Steve Sharpe suggests adding a dollop of honey to your margarita before you blend. Thanks for the tip, Steve. This will come in handy if we ever make it to Manilla. Happy Margarita Day! -Tiki Chris, reporting from the adobe bar next to Tiki Lounge Talk. 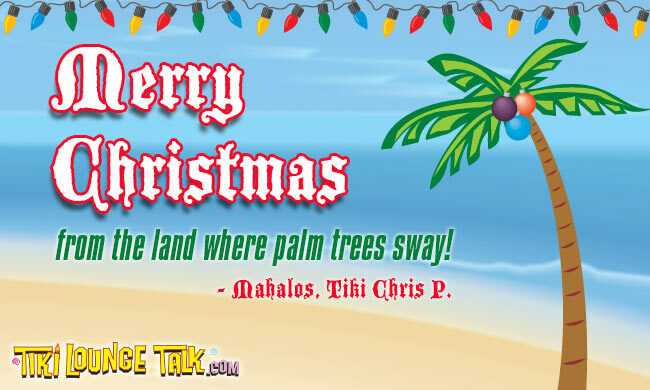 Mele Kalikimaka from Tiki Chris & Tiki Lounge Talk! 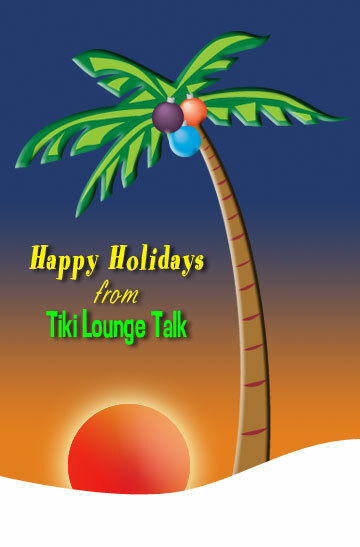 Merry Christmas to all of our kookie, krazy Tiki & Vintage-diggin’ pals! Here’s hoping your Christmas & Hanukkah are filled with fun & presents, and that you have a swingin’ New Year! I am toasting you all right now with a cup of spiced-rum-spiked eggnog, and homemade cookies by Wahine Colleen. We’re surrounded by torn wrapping paper and fun gifts…and hope you are too.